More and more people are turning to self-storage facilities to fulfill their storage needs. These places provide the necessary space, convenience, and most importantly, security needed to assure people that their belongings are safe and sound. But what exactly are these facilities doing to make sure that people’s belongings are actually safe? Listed below are the four most important features a storage facility must implement in order to please their customers. When choosing a self-storage facility, multiple factors go into the decision making process. The first thing you should know is how tight security is regarding access to the property. Some sort of access controlled keypad should be in place at all entrances. By far the best one on the market right now would have to be the 3200i model from Sentinel. With customized messages and a pinhole camera with intercom included, this is defiantly the best option. This technology ensures that visitors who are not customers will not be admitted onto the property unless they are accompanied by staff member. Obviously, no storage facility should be without a security camera system. 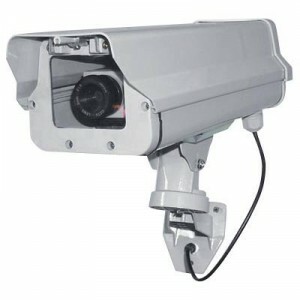 Close Circuit Television (CCTV) surveillance cameras are the most effective way to monitor the entire property 24 hours a day. They should have an eye on every hallway, unit, office and elevator (if applicable). Personally, I feel as though dome cameras are the way to go, since they can rotate to cover more area and they are almost impossible to disable. The DPRO-AS700 Vandal CCTV is top of the line, but can get a bit pricey. Settling for a slight downgrade is not a bad way to go. For example, many Tucson storage units are using the DPRO-9620VFW, which is just as good. The smallest, but perhaps one of the most vital pieces of this storage puzzle is the individual unit locks. Most self-storage facilities will require that you provide your own, which is a good thing because it gives you the option of securing your stuff with a beefed up lock. Disc locks are widely known as the most theft-proof, so except to pay anywhere from $20-$60 for one. If you want to get brand specific, Chateau is top-of-the-line, but really any kind will do. Depending on the monetary value of your belongings in storage, these locks can be well worth their cost. If for some reason, the previous three features did not do enough to thwart the criminal, surely the alarm system will be the final deterrent. People have them on their cars and in their houses, so why not install them in people’s storage units. Cisco makes simple to install wireless alarm transmitters that can be attached to the door of every storage unit which provides you with instantaneous notification should security be violated. Smoke alarms and fire alarms should be included also; having your stuff burnt to a crisp is just as bad as having it stolen. As you can see, technology has helped provide storage facilities with the appropriate security tools. With the holidays in full swing, criminals are getting more desperate with each passing day. So make sure that the location you choose has the right systems in place, and sleep easy knowing that your personal belongings are locked up tight. It does make sense. Storage facility should have tight security. This should be one of the factors that you need to consider before availing their services. If the facility has cisco wireless alarm transmitters then you can be confident that the facility is fully secured. This is one of the businesses that I am planning which could be great if not for the high price of the cameras. But you need them to ensure that your storage is safe. Thanks for this good article! I think that using this kind of latest technology called the CCTV camera will assure us that we are really safe, in the place where I use to live there are part here that you can find this on top of the post to prevent person that has bad intention. this is a good help. Yes very true that you need to make people sure that they are safe for your online or offline business. Self storage facilities should have all of the above as one security measure isn’t always reliable. Having all of them combined is the most effective. Thats why we did for our center. You wrote in your article that you should get an individual lock on your storage unit, to provide an extra layer of protection. I’ve been thinking about getting a storage unit, as I have a few items that I received from my grandfather that I simply do not have room for currently. I want them to be as safe as possible, so I’ll have to talk with the facility, and see if they can provide any kind of extra security for my possessions. On the off chance that you don’t deal with these issues when they’re minor issues, they can possibly wind up plainly greater migraines later. Preventive maintenance is better than emergency repairs any day. Thanks for the clarification on individual unit locks and that disc locks are the most theft-proof. There was an incident where someone’s self storage unit was broken into where my sister has a unit, and she is now looking for a new lock. I want to make sure that I work with a good self storage unit company and have proper protection when I get my own storage unit. My parents might end up needing to live out of state for a year. If they do, they want to put their stuff in a self-storage unit and rent out their home while they’re gone. I appreciate your tip about finding a place that allows you to use your own locks. I’ll have to let them know that Disc locks are one of the best theft-proof locks. Finding a good facility and using a good lock seems like a great way of keeping your belongings protected.